There’s something about the phases of the moon and its gravitational effect on us that makes a lot of sense to me. It’s science and spirituality. I’m intrigued by the role these cycles play not only in farming, but in humanity. As part of the natural world, we are not immune. A counselor once encouraged me to acknowledge my heightened emotions during pms – because although they can be blown way out of proportion during a cycle – at the core of those feelings is a truth I might be suppressing. 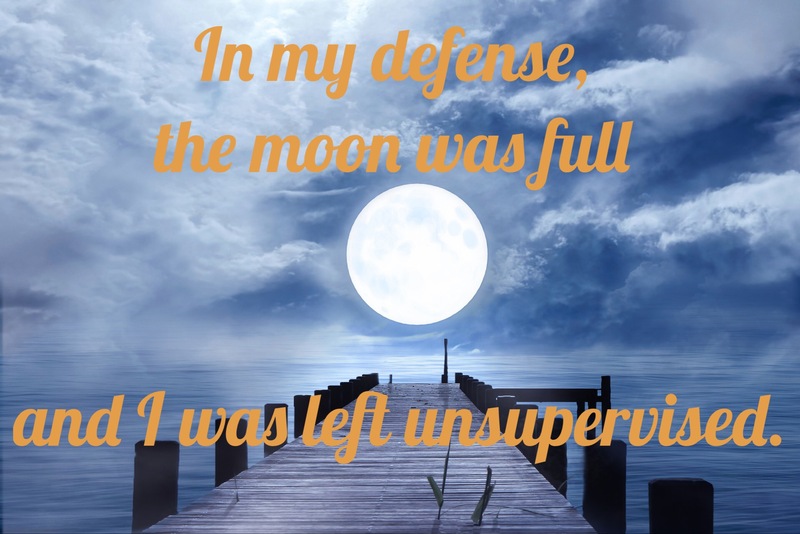 Same goes for my pre-full moon jitters. I really wish these events would coincide so I could tackle them in one fell swoop. My jitters led me to do something really dumb this morning. I clicked on my ex’s Facebook profile. I NEVER do this. I blocked him after our divorce. I’ve worked very hard to keep our divorce and co-parenting amicable for the sake of our children (and for the sake of my sanity). Not following him on social media helps. Seeing posts celebrating an anniversary with his affair partner/now girlfriend that pre-dates our divorce doesn’t help. My bad though. In today’s case, I am the author of my own pain. I was fine before I clicked on the little button that I never should have clicked on. Lesson learned. I’ve worked far too hard on moving forward to let this derail me. My house goes on the market next week. I spent this past summer deeply purging our belongings and organizing what’s left. My ex-husband left antiques, heirlooms, and old family photos that held a heavy residual energy from his side of the family. His family passed on a sense of obligation to curate these pieces. I recently gave them back to him and it feels great to be free of them. Even with my own families’ heirlooms, I kept only the few pieces that bring me joy. Things shouldn’t matter but they hold a weird power sometimes. Marie Kondo knows this and she’s making a killing with her #konmari movement. I’m a fan. Starting fresh with MUCH less stuff is going to feel great. After a healing retreat with a sweet group of women last month, I found some oracle cards to help me stay on the healing path. I’ve avoided oracle cards in the past, but I found a deck called The Wild Offering Oracle by Tosha Silver that I love. They are another tool I can use when I pray. As a liberal, open-minded Christian, the only thing I know for sure is that there is a lot I don’t know. 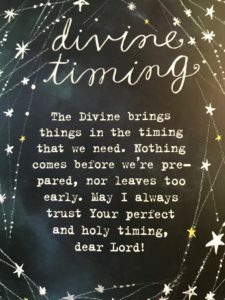 One of the first cards I drew was about divine timing and it deeply resonated with me. I took another step on my path and upgraded my Relax Melodies App on iTunes to the pro version because it includes meditations. So, tonight I will stand in the light of the full snow moon and say a prayer. I will let go of fear and sorrow. I will draw an oracle card, light a candle, set intentions, and listen to a meditation. 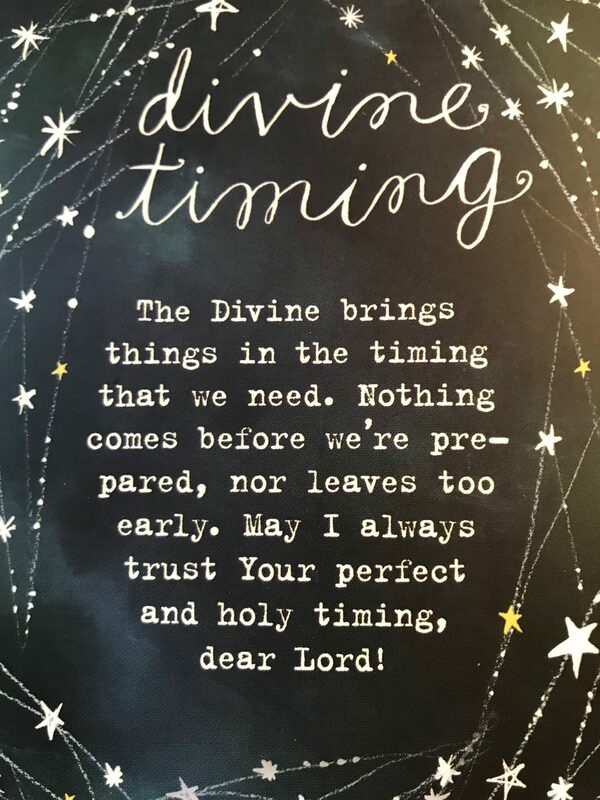 I trust good things are coming and I wish the same for you. < Previous Holiday Cheer, Dammit!